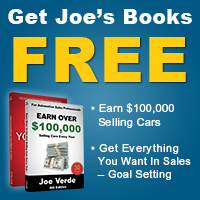 Category Archive For "Joe Verde"
Are You Listening – Or Waiting To Talk? Joe Verde has a new poll question up on his website. This month he’s asking salespeople: What is the most important benefit your prospects care about? Click here to go to the poll and vote now. 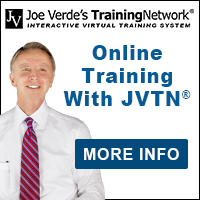 The #1 Training Organization In The Automotive Industry!